To sell your animal for fair you two options. Either way the animal will sale. 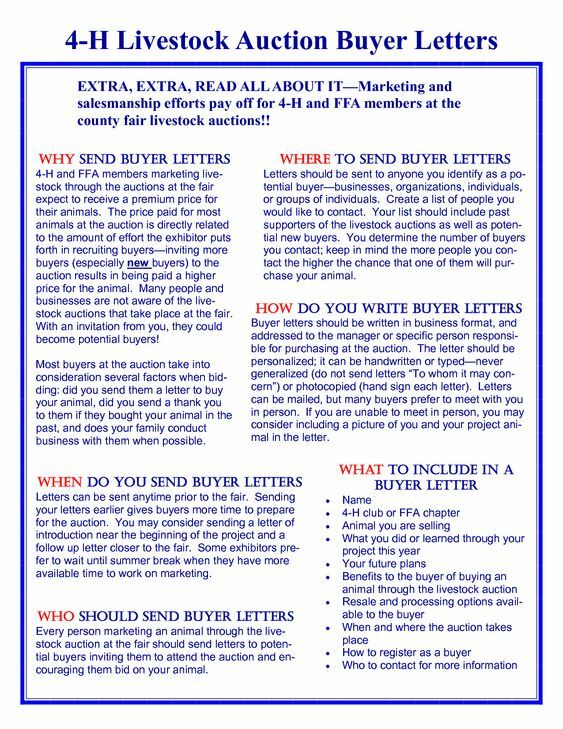 If you enter the auction at the fair your animal will sale determined by the buyers at the fair and what they willing to pay. This price fluctuates and is usually pretty low. Going through the auction you could make money or you could loose money. The auction is a gamble. it is a great fall back if you do not find a private buyer. Getting a private buyer is the preferred way to sell your animal because it is a safer way to sell your animal. Doing this allows you to sell your animal yourself to whoever you want to and figure out the price you wish to sell your animal for. People like to buy animals from students because of the great product,to support you, and to get a tax write off for the animal on their own taxes. 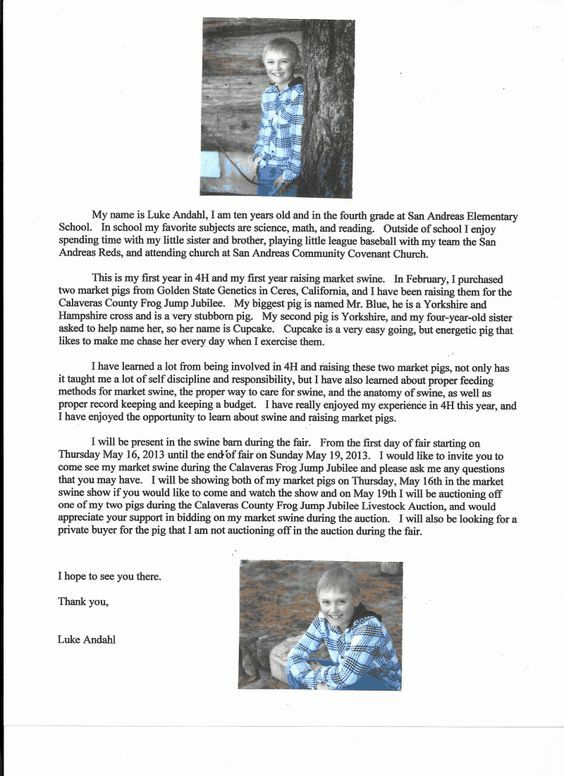 Sending out buyer letters is a great way to find people or companies that might want to buy your animal. Thank You cards must be hand written in an addressed envelope and are due on show day at the fair. If you already have a private buyer it should have the senders address(you) and your buyers address with a stamp on it. 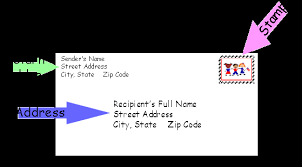 If you are going through auction you should have the senders (you) info but the recipients address should be left blank. Only private buyers need stamps as auctioned animals will have buyers at the fair and will be hand delivered. Thank you for buying my hog at the auction and for supporting the FFA program. Thank you for buying my goat, I really appreciate your generosity. FFA has been so much fun because of the new friends I’ve met. I’ve had many opportunities to lead this year at FFA meetings. FA has taught me about working hard this summer. Put towards a new project next year.